CalMac Ferries (Caledonian MacBrayne) is a leading ferry operator offering an extensive network across the Scottish Isles. 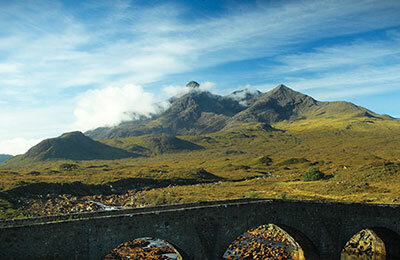 Book CalMac Ferries today with leisuredirection.com – CalMac Ferries routes available to book include: Fionnphort to Iona, Mallaig to Canna, Coll to Tiree, Craignure to Oban, Gourock to Rothesay, Oban to Lismore, Ullapool to Stornoway and many many more. 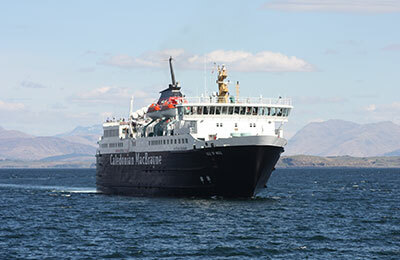 CalMac Ferries operate a fleet of 31 ships, including large cruise ferries for long duration routes, and smaller, environmentally-friendly vessels for routes to smaller islands. Onboard facilities can vary depending on which route you travel on, as the larger vessels have more amenities. Larger ships include TV and observation lounges to take in the stunning views of the Scottish coastlines. The TV lounge is a good option if the weather is not so good and you want to keep the kids entertained, or catch up with some news. The majority of CalMac ships provide baby changing facilities. 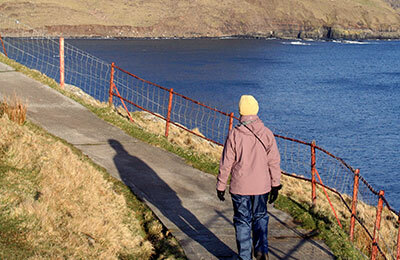 What is included in the CalMac Ferries price? The price you are quoted is for all passengers in your vehicle including the driver. If you have added a pet, this will also be included in the price. Is cabin accommodation included in the price? On overnight crossings, your quote includes (compulsory) accommodation. You can change/upgrade the accommodation type if required. Are there any meals included in the price? No. Meals, drinks and snacks can be purchased from the on-board cafés and restaurants. Services may vary according to the crossing booked. Can I take my pet with me on CalMac Ferries? You can take your cat or dog on your CalMac Ferries sailing. When you select your preferred route, simply select the number of dogs or cats that you are travelling with. See our pet booking page for more information. What facilities are there onboard for children? Calmac Ferries offers the Calmac Cub Club activity tables which is a fun way to keep the younger passengers occupied during the journey. Cub Club play rooms are also available on most of the larger ships. Note, that to travel with your pet abroad, you will require a Pet Passport. You can take your cat or dog on your CalMac Ferries sailing. When you select your preferred route, simply select the number of dogs or cats that you are travelling with. If the option is not available, please contact us. Pets are welcome on board Calmac Ferries and travel free of charge. Facilities vary from ship to ship. On most of Calmac ships pets are allowed access to all outside passenger areas. Many of the larger ships have internal pet areas with seating provided for owners. When inside, passengers travelling with pets should remain in these areas. On some ships pets are not permitted inside.